Aquarium researchers and staff are on expedition to the remote Phoenix Islands Protected Area (PIPA) to study the natural history of the islands, surrounding reefs and connecting open water ecosystems. Research on the 2015 expedition will directly inform the management and maintenance of this world-renowned MPA. Today's post comes from Peter Gawne. Through the first few dives here in the Phoenix Islands Protected Area I have been focusing on capturing composite images of the reef, known as photomosaics or underwater landscape mosaics. Photomosaics, in their finished form, are a snapshot in time of the reef. In order to acquire the images, a number of criteria must be met during the dive. 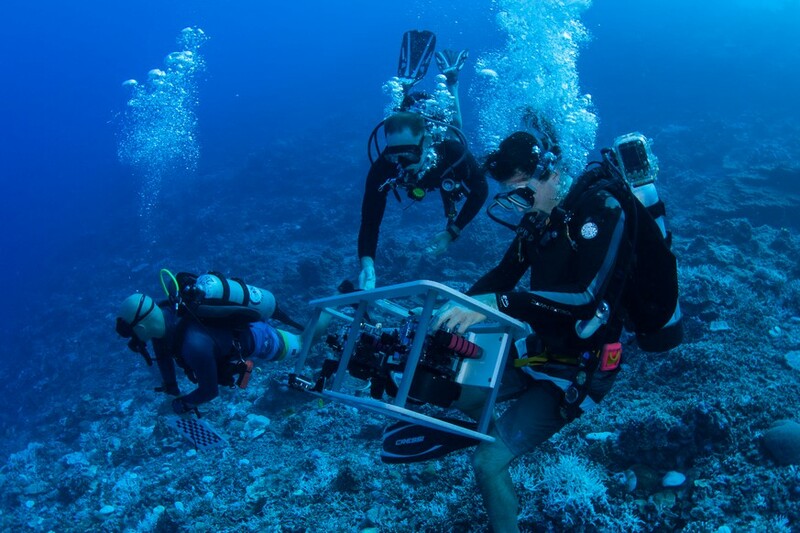 A dual-camera rig is maneuvered within 1 to 2 meters of the reef. While a diver maneuvers the rig, they must also watch carefully maintain the stability so that the images are clear, without blur, and facing straight down. With surge, currents, and waves to contend with it requires considerable concentration to obtain images of the quality necessary to construct the finished mosaic. Typically, the diver operating the rig sees little else but a few square meters of reef directly below. 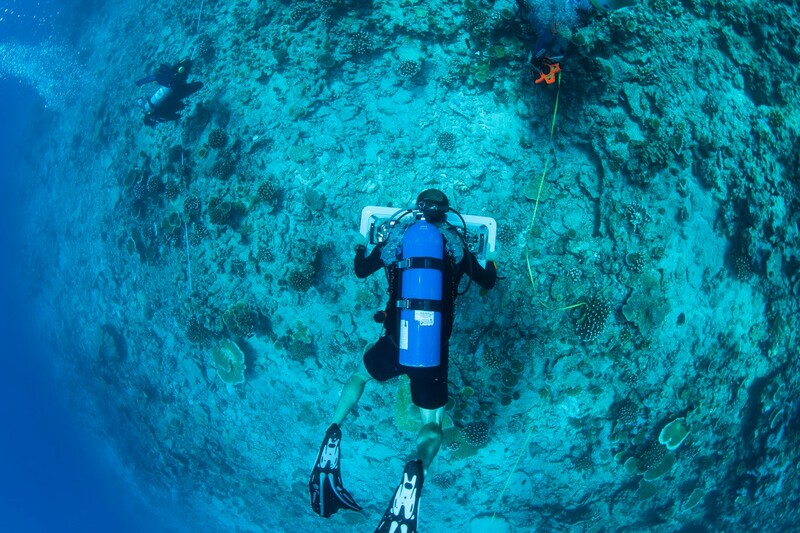 In order to provide reference points for the images, expedition Dive Safety Officer Shawn Harper takes careful measurements to provide context for the images. Shawn must operate quickly in the taking of these measurements in order to stay out of the way of the dual-camera mosaic rig, and get each of the necessary information before the dive team runs out of air or bottom time. It has been a carefully orchestrated and choreographed operation. Thousands of images are acquired over the course of the dive. These images are then stored on large-capacity hard drives, until they are ready to be processed by the lab. At the lab, each images is registered so that they are in proper position relative to one another. After the images are registered, they are blended to form a single image of the reef, made up of the many thousands of images. These composite mosaics will serve as an archive for the reef state at this particular moment in time. Past expeditions have produced similar images of the exact same piece of reef, which allow researchers to track changes and will provide insight into the trajectory of the reef. the Smithsonian Institution on a monitoring program in Belize’s South Water Caye Marine Reserve. 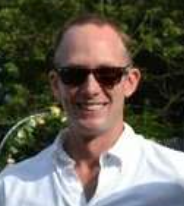 Peter has also worked on numerous seabird programs throughout New England. He is an avid saltwater angler with several catch and release awards. Peter lives in Cambridge, Massachusetts.